Ok ok, so the upcoming movie Alpha & Omega isn’t about werewolves, but it is about talking wolves, and it’s far too adorable to ignore. Any cartoon loving werewolf fan will totally be tempted to see this cute flick, I know I am. What makes for the ultimate road trip? Hitchhiking, truck stops, angry bears, prickly porcupines and a golfing goose with a duck caddy. Just ask Kate and Humphrey, two wolves who are trying to get home after being taken by park rangers and shipped halfway across the country. Humphrey is an Omega wolf, whose days are about quick wit, snappy one-liners and hanging with his motley crew of fun-loving wolves and video-gaming squirrels. Kate is an Alpha: duty, discipline and sleek Lara Croft eye-popping moves fuel her fire. Humphrey’s motto – make ’em laugh. Kate’s motto – I’m the boss. And they have a thousand miles to go. It’s about time we have a hilarious wolf movie for kids (and adults) to enjoy. I mean, we’ve got cartoons about every other animal – time for the wolves to shine! 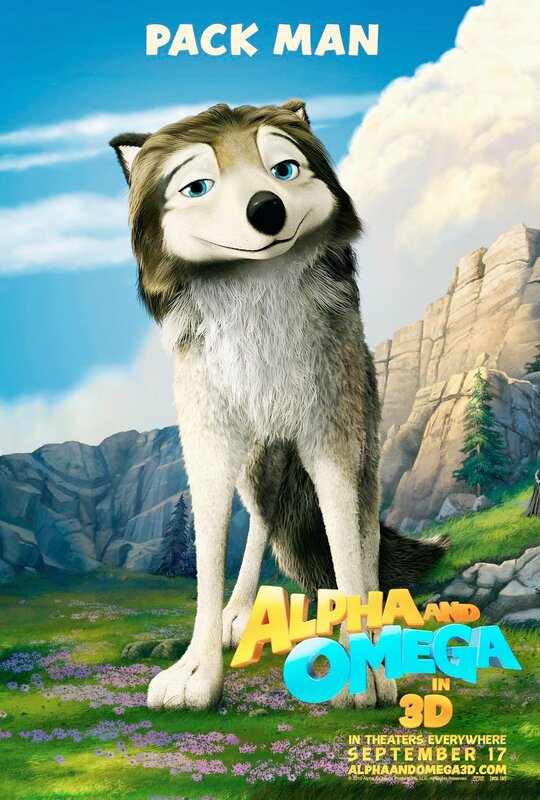 I may be a grown woman, but I am not ashamed to admit that I plan on seeing Alpha and Omega the day it comes out. On top of hilarious characters and beautiful artwork, it also stars an amazing cast with Hayden Panettiere, Justin Long, Christina Ricci, Dennis Hopper and Danny Glover. This movie will no doubt be huge. So in spite of this not being about werewolves, do you this it looks good enough for us werewolf fans to enjoy? Let us know.